Here’s a blog post that takes us to a place TwT has yet to visit: The Philippines. It is written by one of my fellow travel bloggers from the Twittosphere, so it might have a slightly different vibe to it than most of my posts. Just go with it: February is all about variety — in tone, style, material, and the guest blogger’s relationship to TwT. So here is another spoonful of something different. Eat up! And yes, I promise it will be all about me again soon… (HA! Please tell me that my sarcasm comes through…) Trust me: I’ll put the Tavel back in Travels with Tavel once I’ve starved you all just enough to miss me and my rambles a little bit more. Man on the Lam in Philippines. Photo provided by Raymond. Yes, you read that right. Just about the last place you would expect to find African animals roaming freely would be on a sun-soaked island in Southeast Asia, but there they are. Over 5,000 miles from their original home in Kenya live a mix of giraffes, gazelles, zebras and impalas among others. 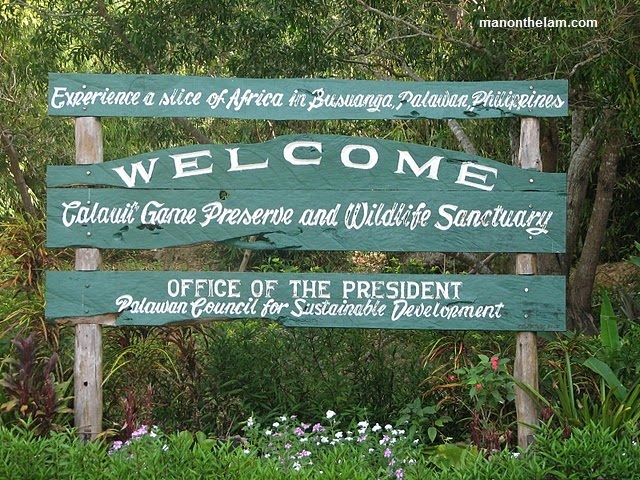 Little-known and little-visited, the Calauit Island Game Preserve and Wildlife Sanctuary is a curiosity indeed. Entrance sign. Photo by Raymond. The day that I went, I was one of four visitors. That’s four for the entire day. The day before, there were two. The day before that, there was none. There are no turnstyles or gift shops. There are no crowds clamoring at the gates. Well, there are no gates really. The lack of crowds leads to its appeal, but it also makes you wonder how they manage to make a go of it at all. Calauit Island lies on the Northwestern coast of Palawan in the Philippines. In the 1970’s, the International Union of Conservation of Nature (IUCN) sent out an appeal to save endangered African animals. Ferdinand Marcos, never one to turn down free stuff, and sensing a photo opp to boot, responded eagerly. And are we glad he did. The park that resulted is nothing short of amazing. 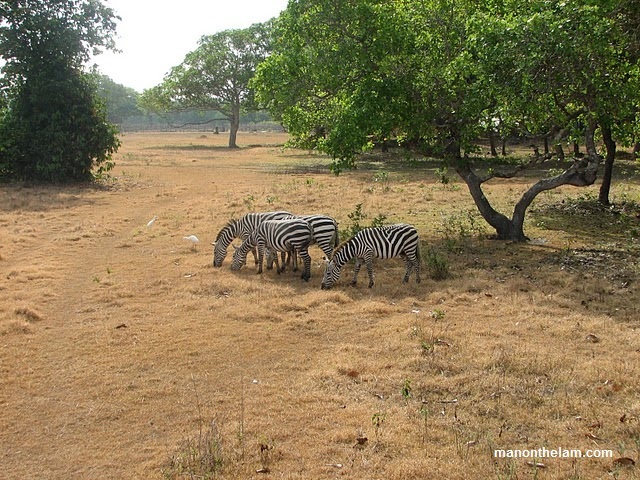 Kenyan Zebras in the Philippines. Photo by Raymond. Initially eight species of animals, 104 in total, made the long exodus. Today those numbers have swollen to well over 600. The Kenyan animals now co-exist with other endangered animals endemic to the region. 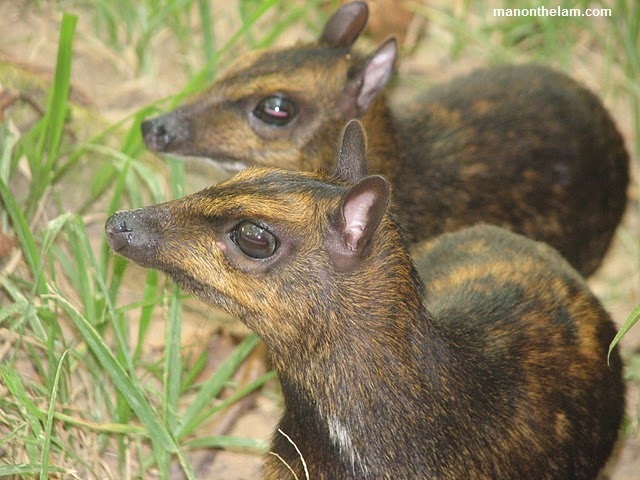 Calamanian deer, mouse deer, bearcats, and others, not to mention thousands of birds, are all part of the new host family for the displaced Africans. The project itself has been a resounding success. The marketing however, has not. And that’s a pity. Furry creatures in the Philippines. Photo by Raymond. While the furry four-legged variety here thrives, the cash-carrying two-legged variety is a rarity. The lack of tourists here has a great deal to do with the location. Getting there is nothing short of a trek in itself. After a 45 minute flight to Busuanga from Manila, you can expect up to 3 hours over some of the bumpiest dirt roads around. The final 15 minute boat ride is a welcome respite. Those who do make the journey though will be rewarded with the chance to get up close and personal with some amazing wildlife. The island itself is an oddity as well. More African savannah than Asian island paradise, the landscape lends itself to stunning vistas more reminiscent of game parks in South Africa. 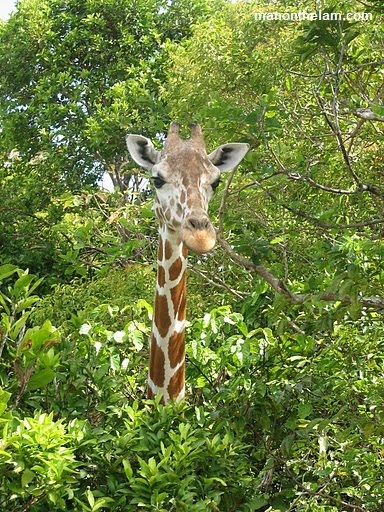 Giraffe in the Philippines. Photo by Raymond. While overexposure for any park is never good, supporting wildlife sanctuaries like this worldwide is essential to ensure their ongoing success. So if you find yourself in Southeast Asia, and longing for a bit of adventure well removed from the normal tourist trail, check out the Calauit Island Game Preserve and Wildlife Sanctuary for a once-in-a-lifetime experience. And spread the word. They need it. Raymond is a man on the lam. 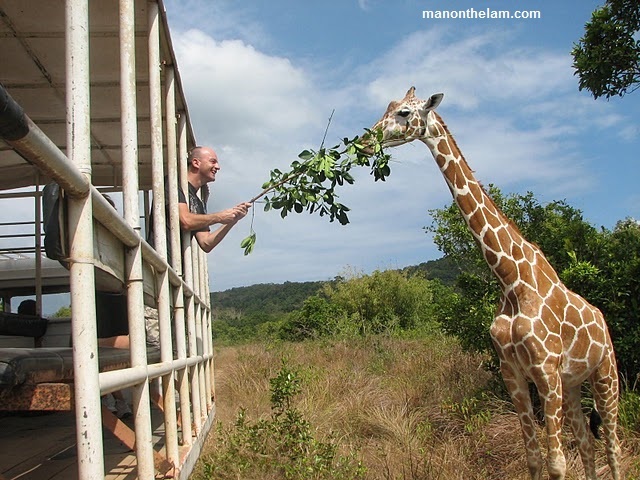 He runs a travel website at http://www.manonthelam.com with a focus on the upbeat, the offbeat, and the word on the street. His favorite place to visit is the Middle East (he is a self-described desert junkie). You can follow him on Twitter, @manonthelam1. Very cool!!! I’m dying to get to the Philippines. Off the beaten path in more ways than one. Very cool.